The new location for Kennedy’s is more than twice as big as the old location, which was next door. 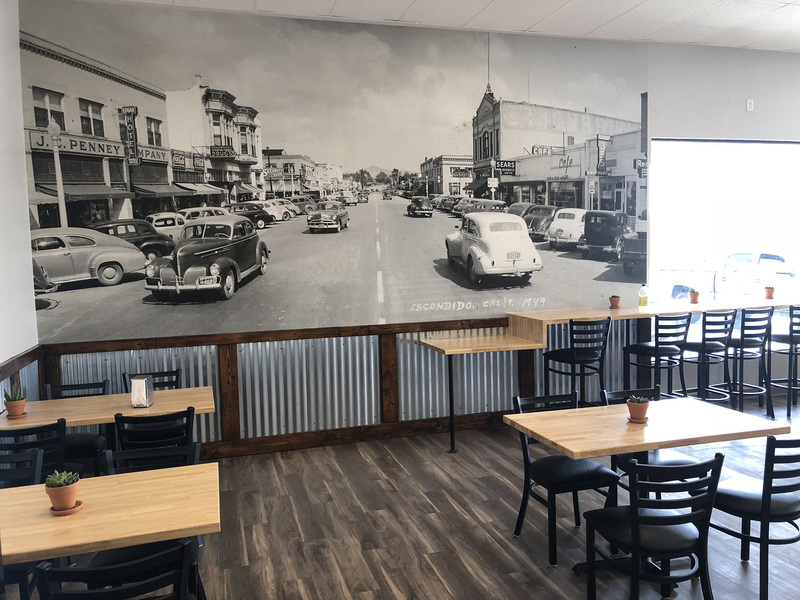 Old Escondido along Grand Avenue in 1949 is shown in this mural on the wall of the new Kennedy’s Meat Company, a restaurant/market which now has indoor seating. Everything is bigger at the new Kennedy’s Meat Company, which now has an extensive food prep area that allows them to do catering. 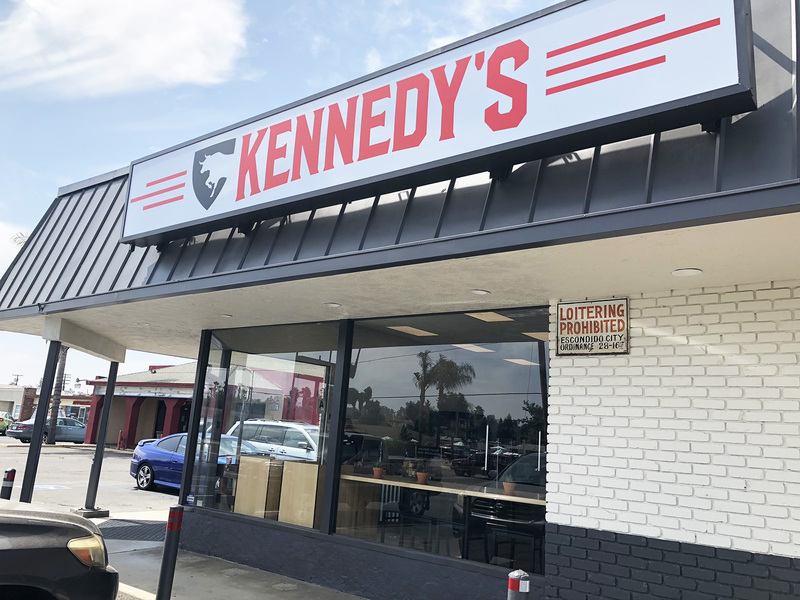 If you’ve ever been to Kennedy’s Meat Company before, you won’t have any trouble finding their new location, which is just a few dozen feet from the old store at 1766 East Valley Parkway. 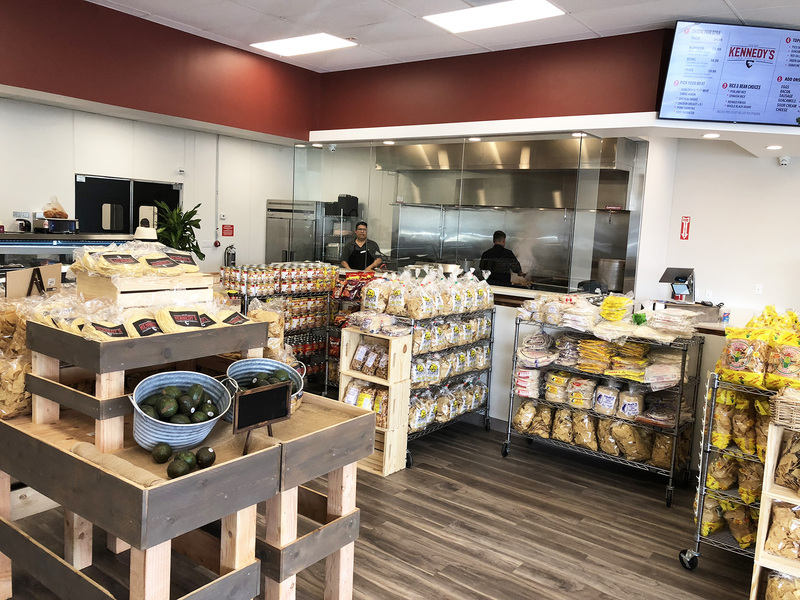 Kennedy’s Meat Co., known for many years as Kennedy’s Karne, has moved just a few dozen feet away to a new building and location that’s 5,000 square feet, instead of 2,000 SF. 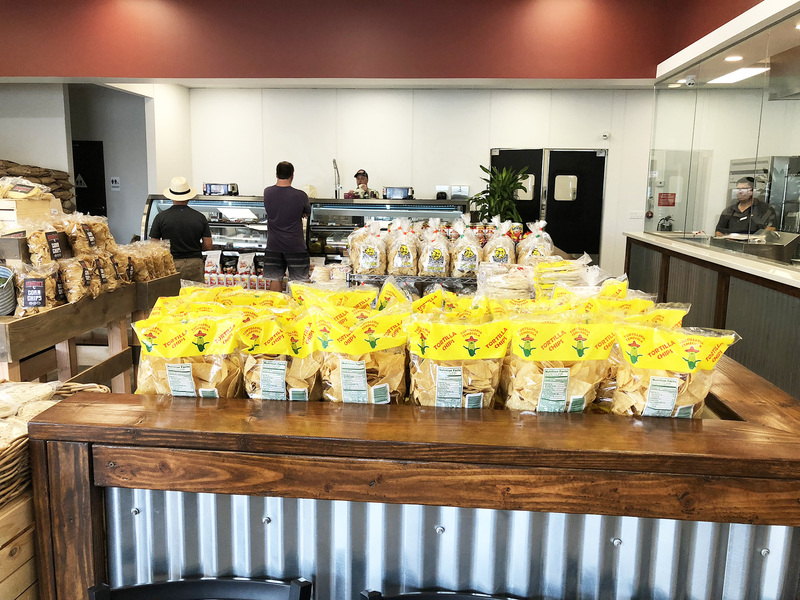 Mark M. Soto, the owner, told the Times-Advocate that the new square footage will allow them to have indoor seating, an extensive food preparation area that will allow them to offer offsite catering. Kennedy’s is a restaurant/market. “We’re expanding, so we needed more space,” said Soto. He is a third generation operator of the family business. But Karne is the name of the family’s business, and since this is an off-shoot, and includes a partner who is Soto’s good friend, they christened it as Kennedy’s Meat Company. “It’s a new logo and name and new product,” says Soto. It is NOT unique, however. There is another by the same name in Imperial Beach. Kennedy’s offers all the services you’ve come to expect over the years, especially that of providing first class meats. “We use USDA choice and above, and that includes Angus prime, wagyu and Kobe, the best quality meat we can find,” says Soto. They also have grocery market, kitchen and catering. They serve many fine dishes for take-out or dine in. They do online shipping. 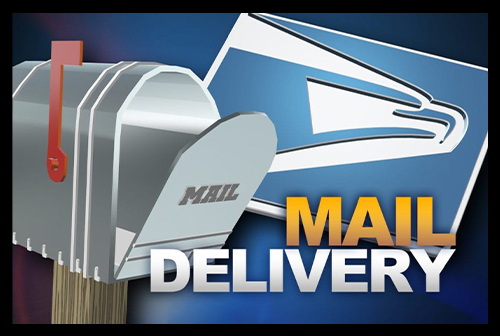 Hours are 8 a.m.–8 p.m., Monday-Saturday, 8 a.m-7 p.m., Sunday.